This film charts the last sixty days in the life of speed ace Donald Campbell, who in 1967 famously crashed his craft "The Bluebird" while trying the break the three-hundred-mile-per-hour barrier on Coniston Water. A British lawyer, disillusioned with his marriage and career. After starting an affair with a beautiful woman with political connections, a murder leads him to the greatest challenge of his life. Jean Louis Chavel: Mangeot, listen to me, I won't let you do it. I don't want to die, God knows I don't want to die! But I can't, you've got a family. Michel Mangeot: Yes. But in my family when we say we're going to do something, we do it. It's too late, we did a deal. 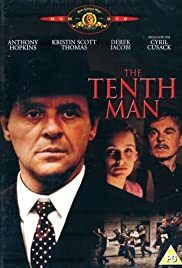 I remembered this movie (and subsequently ordered it) because of Anthony Hopkins' incredible role. When I received it from my movie retailer, I realized that the other actor in it was Derek Jacobi, who has become my favorite actor of all time. To top it off, the woman is Kristin Scott-Thomas who hadn't come into her own yet. This is an amazing cast, from a novel from an amazing author. Watch it! Watch it!